Swiss Army Knife for Basic programmers. Various tools for GWBASIC programmers. Copyright (C) 1984, John R. Layman. * dramatically improve the performance of your programs. * write larger programs than are possible using BASIC alone. without being penalized by the BASIC interpreter. cross-reference of critical program elements. In short, this is the basic tool kit for BASIC programming. quality; professional software, available in "user-supported" form. You can use ALIAS to replace long variable names with short aliases. compacting and optimizing the program using the STRIP utility. segments of a program which are to be MERGEd at execution time. D$, for every occurrence of the string name, ITEM.DESCRIPTION$. TRUE=-1 or ARRAY.SIZE=500 or PROGRAM$="PAY010 vn 1.0"
This capability is useful for both interpreted and compiled programs. concise code when literals are used. * The alias list may be in any sequence. unsubscripted variables of the same name. text; not the size of the tokened form of the program. effective when you assign aliases beforehand using the ALIAS utility. destination of line-referencing statements such as GOTO or GOSUB. The reason for this restriction is explained below. by the single quote (apostrophe) character. program prior to compiling it. because it requires a preliminary pass of the source program. adjoin. The DATA keyword will be repeated for each statement. can avoid this by always using quotes for such constants. comment character are preceded by a page change. IBM dot matrix printers or compatibles. between 80 and 132 characters long, the entire line is compressed. Otherwise, the line prints at normal pitch. continuation according to the indentation of the base of the line. just as it appears when listed by the interpreter. their units position (i.e. right-justified as 5-digits). listing to include reserved words and/or literals. mode on standard IBM dot matrix printers or compatibles. line numbers, reserved words, numeric literals, string literals). in alphabetic sequence (e.g. 100 precedes 50). not recognized as reserved words or line referencing statements. These include AUTO, EDIT, LIST, LLIST, RENUM, and the like. list, be certain to preserve a copy of the original as a precaution. And remember that it is more blessed to add than to delete. a detailed description of these print conventions). lines with the BASIC editor, you can enlarge the frame to any size. accomodate 60 characters per line. BASIC Compiler language extensions are not recognized. used and/or switch settings to invoke optional features. files. A null source file name will always result in a prompt. with a colon (e.g. PRN:). COMn: files are not supported. IBM 80cps printer and MX80 (without Graftrax) are printer type 1. The IBM graphics printer and later Epson models are printer type 2.
specified in the batch command which calls the program. operation. You may also enter Ctrl/Break to abort the program. 2) Bad file mode. Unrecoverable. 3) Error 2 at 6450. Unrecoverable. number, along with any pertinent supporting information. The following non-standard errors may also occur. All are Class 2. An unexpected switch appears in the DOS command line. shows the point at which the error occurred. display indicates the location of the error. An entry in the alias file does not have the expected A=B form. The limit of 3,000 aliases has been exceeded. The optimizers limit of 9,000 referenced lines has been exceeded. The limit of 175 reserved words has been exceeded. The reserved word list is not in alphabetic order. your $35 contribution will be greatly appreciated. the program for evaluation by other users. 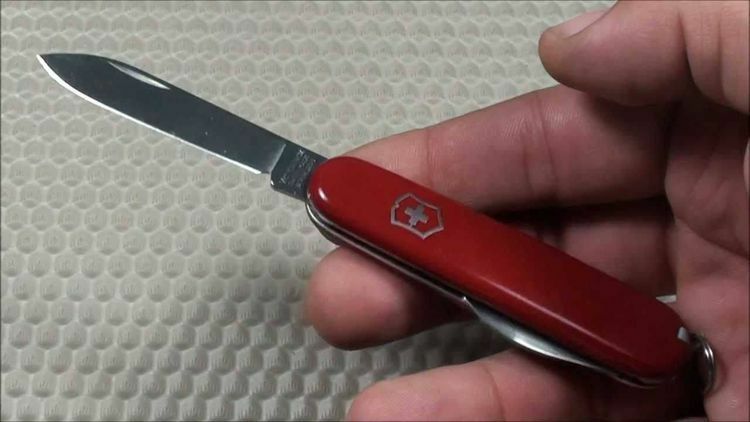 The Swiss Army Knife is part of the growing body of "user-supported"
user on his/her own system. and supported by the computing community. required to contain both object and source code). to the author, or to discontinue use of the software. on their quality and usefulness. This honor system benefits the entire personal computer community. 1. distribution in a modified form. the express written consent of Layman & Layman.